VA mortgage rates are generally lower than other type of mortgage loans. 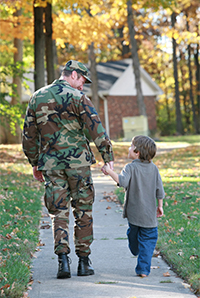 The benefit of being a veteran and qualifying for a VA home loan is lower interest rates. Since VA home loans are backed by the government lenders can issue lower rates due to reduced risk. Lower VA mortgage rates along with no money down puts the VA home loan at the top of the list when it comes to borrowing money for a new home. Although VA interest rates are generally lower it also depends on the borrowers credit score. The better ones credit the lower interest rates a person will receive. This holds true for all loans. This is why it is so important to establish a good credit rating before applying for a home loan. If you are a veteran wanting to purchase a home in the near future make sure to establish a good credit rating it could save you thousands of dollars. If you do not have perfect credit consult with a VA mortgage professional you may still be approved for a VA home loan. VA lenders tend to be more lenient with lower credit scores again due to the government backing. Even with less than perfect credit you might still be eligible to qualify for the VA mortgage rates. VA mortgage interest rates vary from the type of VA home loan one apply s for. For example a VA 30 year fixed rate would be substantially different than a VA hybrid loan. The main difference is one is a fixed rate and the other is a adjustable rate known as a VA Hybrid or VA ARM loan. Depending on the borrowers situation there are pros and cons to both types of loans. The good news is there are different options for different situations.